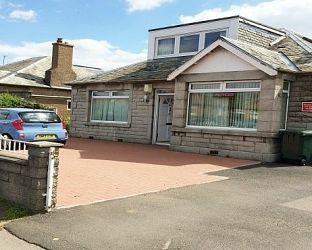 Craigmore guest house, the home of Rae and Peter, is superbly located on the west side of Edinburgh only a short taxi ride from Edinburgh international airport and within easy reach of Edinburgh city centre. 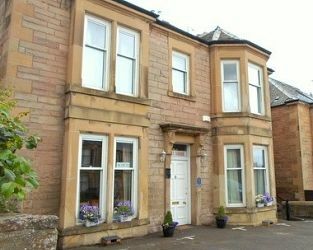 Bed and Breakfast accommodation near Edinburgh Airport. Ideal for late arrivals and early departures. Our guest house has free parking and you get a front door key for all day access. We are 15 minutes by bus to Edinburgh Royal Mile. All 6 rooms are en-suite with showers. Towels, soap & toiletries provided. There is Free WiFi. A Scottish Breakfast is freshly cooked to order by Lesley. Visit Edinburgh City of Edinburgh and the surrounding villages and stay in bed breakfast, hotel or vacation rental accommodation provided by BedPosts members. Edinburgh in Midlothian is finely situated and famous for its University and Schools, as well as being the focus of the historical, political and cultural life of Scotland for centuries; any selection of the city's interesting features is bound to be invidious. The heart of the Old Town is the Royal Mile, the succession of streets amidst many-storeyed old houses and quaint Wynds, that follows the ridge east from the Castle to Holyroodhouse. The Castle is the centre of a group of notable buildings: the restored Chapel of St Margaret dates from 1093; the Old Palace contains the Crown Room, with the Scottish regalia, the Royal Apartments and the Old Parliament Hall; while on the nort side is the impressive National War Memorial (1927). In High St. is the fine Church of St Giles, once the “High Kirk”, with its “Crown” steeple, and Parliament House; and, within a stone's throw, the University, designed by Robert Adam in 1789 and completed by Playfair in 1827. Continuing down the Royal Mile, note John Knox's House, the splendid Cannongate Tolbooth (1591), and White Horse Close and Inn (1791). In Holyroodhouse, dating from 1500, are interesting relics and portraits of the Kings and Queens of Scotland, but of the Royal Chapel, once part of the adjoining Abbey, only part of the nave and W front are still standing. Very different in character is the 18th-century New Town, extending northwards from the famous thoroughfare Princes St. Its handsome streets and stately squares contain some of the most characteristic work of the great Robert Adam. Particularly outstanding are Drummond Place and Charlotte Square, while amongst individual buildings, the design of Register House, containing the Scottish Archives, is of great beauty. Today, the annual Edinburgh Festival is a fitting tribute to the splendour of the Athens of the North. 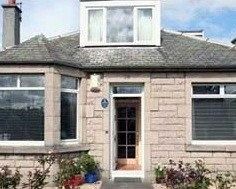 If you seek accommodation near Edinburgh in City of Edinburgh you have come to the website of a “club” of providers who offer affordable quality accommodation around UK in hotels, bed and breakfasts, guesthouses, inns, and restaurants plus self-catering cottages and apartments .